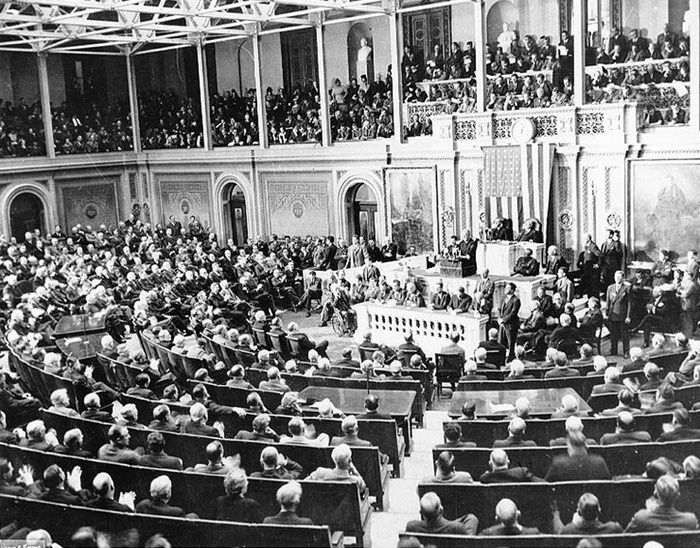 Officially a speech made from the US President to Congress; however, the advent of radio made the State of the Union a public speech heard by Americans everywhere. The State of the Union speech is mandated by the Constitution of the United States. George Washington delivered the first State of the Union on January 8, 1790. Thomas Jefferson discontinued the practice of giving a speech in front of congress and instead wrote the State of the Union and a clerk read it outloud. In 1913, Woodrow Wilson brought back the spoken State of the Union and every president thereafter followed suit with the exception of Jimmy Carter in 1981. 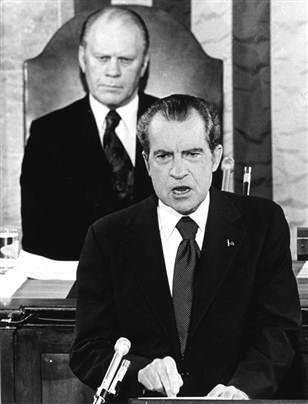 Originally the State of the Union was a speech between the Executive Chief and the Congress. However, the advent of radio made the State of the Union a public speech heard by Americans everywhere. Calvin Coolidge State of the Union was the first to be aired on radio in 1923. FDR also spoke of the proposed "Second Bill of Rights." This collection also includes speeches from Harry Truman, Dwight D. Eisenhower, John F. Kennedy, Lyndon B. Johnson ("Unconditional war on poverty"), Richard Nixon ("One year of Watergate is enough"), Gerald Ford ("The state of the union is not good" ), Jimmy Carter, Ronald Reagan, George HW Bush, Bill Clinton ("Era of big government is over"), George W Bush ("Axis of evil"), Barack Obama and Donald Trump. Be the first to comment on "State of the Union Addresses"